You are here: Home / News & Updates / Alphaclean / Why Should I Get a Ride-On Scrubber? Why Should I Get a Ride-On Scrubber? There are so many options available when it comes to picking what kind of floor scrubber is right for your business, it can be hard to make a decision. Many business owners find that ride-on scrubbers save them and their employees time, money for maintenance, in addition to being environmentally friendly. They are super-effective at cleaning large areas. Instead of having to clean in a three-step process: sweep, scrub, and dry; ride-on scrubbers are equipped to do all three in one fell path. In this way, they are extremely efficient. Bigger is better. Ride-on scrubbers are capable of cleaning larger areas due to their design. It also means they carry larger cleaning solution tanks, resulting in fewer stops to empty and refill cleaning solution. Easier on employees. 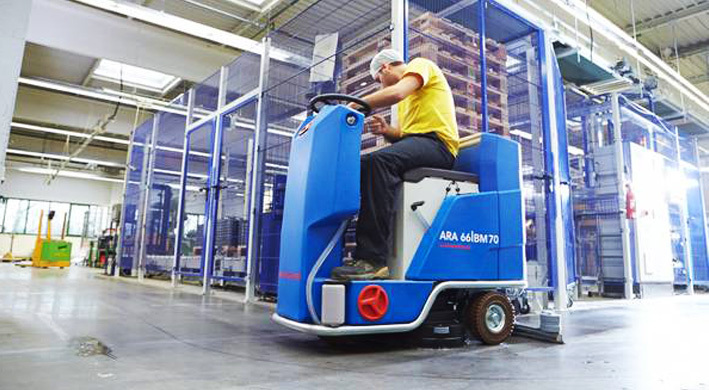 Ride-on scrubbers require employees to exert a lesser amount of effort to operate them than a walk-behind model. So they save wear and tear on employees’ bodies and also only require a short amount of time to clean an entire area. The advantages for a business owner by owning a ride-on scrubber are worth the investment. 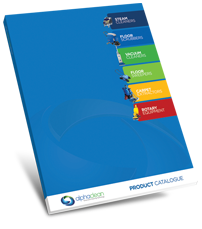 These scrubbers come in a variety of sizes and models to suit any number of business needs.